Desire Garen 24 RDA Atomizer with many features, such as 24mm diameter, Velocity style deck, and three kinds of drip tips. It is also with larger space to contain more cotton. Black and SS colors for your selection. Desire Garen 24 RDA Atomizer is a nice design from Desire in a small size but with beautiful outlook, which features with 24mm diameter, Velocity style deck, and three kinds of drip tips. Its Bottom style aiflow design and Oblique angle back gas system bring a better taste and without leaking or burnt flavor. Garen 24 RDA comes with larger space to contain more cotton, and its adjustable coil for single or dual choice will brings different vaping experience. Here are black and SS colors available. 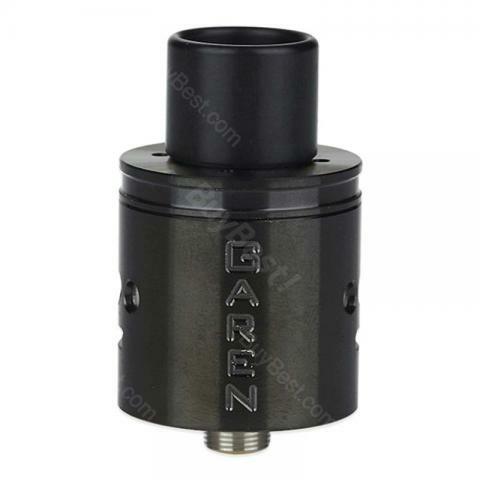 Desire Garen 24 RDA Atomizer is very easy to build with. Nice flavor and clouds. Die ersten Exemplare waren leider undicht, durch den Hammer Kundenservice wurde mir aber direkt Ersatz geleistet und jetzt funktioniert alles perfekt! Voll Desire Garen zu empfehlen.